The Queen of England is planning to invite the Trump Family to London for an official state visit. According to The Sunday Times Queen Elizabeth is planning to invite President Donald Trump for an official state visit during the summer of 2017. Great Britain has long been the strongest ally to the U.S. provoking causing consternation from the left-wing elements amid both nations. President Obama strained the relationship by criticizing the United Kingdom’s colonial heritage, removing a Winston Churchill bust from the oval office, and giving the Queen the gift of an iPod containing all of his own speeches. 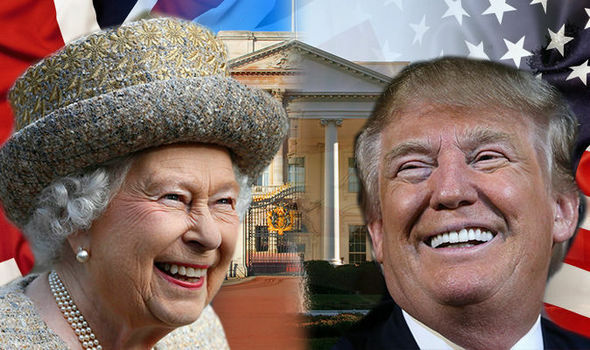 (Via Sunday Times) Donald Trump is to be invited to meet the Queen as the government deploys its “secret weapon” to cement close ties with the new American president. Plans to roll out the red carpet for Trump with a state visit in the summer of 2017 are being drawn up at the highest levels in Whitehall. A formal invitation for Trump to make the UK one of his first foreign stops will be issued once he is sworn in as president on January 20. Discussions between British officials and Trump’s team are expected to begin soon to ensure that a date can be agreed for June or July next year.